Hyperloop Test Track Coming to Nevada « Adafruit Industries – Makers, hackers, artists, designers and engineers! Hyperloop Technologies Inc. and the Nevada governor’s office said the 50-acre facility at a fledgling North Las Vegas business park will test a linear electric motor at speeds of about 335 mph — about half the speed envisioned in a full-scale system. “This decision represents another major milestone in our journey to bring Hyperloop to commercial reality,” Rob Lloyd, CEO of the Los Angeles-based company, said in a statement. The cost of the so-called Propulsion Open Air Test wasn’t disclosed. The company said it has raised $37 million from investors and expects to obtain $80 million more in bond financing. The concept, which was described in 2013 by Tesla and SpaceX billionaire Elon Musk, rips a page from science fiction and aims to make it reality. Pressurized capsules would zoom on a thin cushion of air through pneumatic-style tubes with little friction, powered by magnetic attraction and solar power. 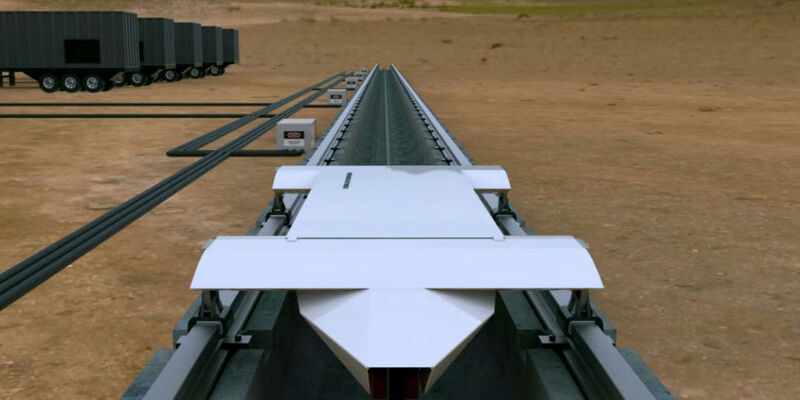 Developers envision transporting freight and passengers at speeds up to 750 mph — a pace that could cut the 400-mile trip between Los Angeles and San Francisco to less an hour.